News | South Rosedale Residents' Assoc | The SRRA is one of Canada’s oldest ratepayer groups. Formally incorporated in 1931, the Association is committed to providing South Rosedale’s residents with a strong voice relative to the area’s unique position as one of Toronto’s most desirable residential communities. The SRRA will hold its annual general meeting on Nov. 17, 2016 at the Toronto Lawn Tennis Club, 44 Price Street. 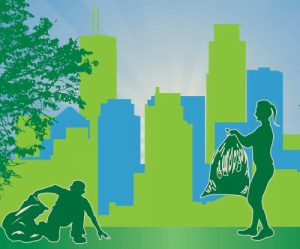 Registration opens at 6:30 p.m. AGM commences at 7 p.m.
A huge thanks from the SRRA to everyone who participated in this year’s Community Cleanup in South Rosedale. About 40 participants of all ages pitched in to the cleanup efforts at Severn Creek and Rosedale Valley, filling up several dozen garbage bags of litter. We look forward to seeing you at next year’s cleanup! Copyright © South Rosedale Residents' Association. All rights reserved.